Regarded as one of the Best Design colleges in India and Punjab, LPU School of Design offers its students cutting-edge labs and equipment to simulate the industry environment with practical exposure to fashion industry right from designing to merchandising. The school provides a platform for students to experiment with creative designs, patterns, fabrics and colors. Live with fashion events, visits by renowned national and international fashion designers, innovation and creativity is fostered in the students at every step. Navneet Saini (B.Design Interior and Furniture Design, Batch 2015-2019) got placed with a package of Rs.9 Lacs annually in Trident Group- Trident Limited, the flagship company of the group has its customer base in more than 100 countries across 6 continents. LPU student Amardeep Singh placed at top Dubai Design Firm with package of 7 Lacs. Annually. Mr. Amardeep Singh (IFD, Batch 2015-2019) got placed in Noor Al Marifaa Décor,UAE as an Interior Designer with INR 7 Lacs. annual package. Rohit Bhandari , an alumni from 2008 - 2011 batch, runs two successful brands namely “Muchi” & “Goodman”, based out of Ludhiana achieving a turnover of +1 crore rupees. Brahma Ventures is primarily a design styling and consultancy firm started by LPU alumni Batch 2014-16 ,Sancharan sural jain. ‘Sancharan sural Jain’ have illustrious clients from South Indian Film industry. LPU students have been placed in well reputed national as well as international clothing brand like H & M, acquiring 14 Lakhs + per annum pay package. Marks & Spencer one of the leading global brand selected 5 students of graduation and post graduation @ 4.5 Lakh p.a. during campus placement drive. Genesis, a premium brand under Reliance Retail selected 6 students at an average pay package of 4 lac Per annum. 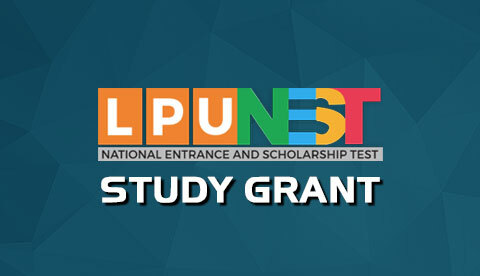 SatyaPaul selected 4 students @ the average package of 4 lac Per annum. Satya Paul is India’s premier designer label with an International presence. Companies like H&M, Raymond’s, Tommy Hilfiger, Gini & Jony, Shahi export, Orient Craft, Madame, Satyapaul selected LPU students for internship and placement. Prominent brands like Coach, Genesis, Michael Kors, Armani Exchange, Diesel, Kate Spade, Steve Madden selected LPU students. School of design alumni are working inbest design houses like Anshul Rajwansh (Delhi), Archana Kochhar (Mumbai), Sabeena Bani Ahuja (singapore), Aslam Khan (Delhi), Pam Mehta (Delhi). Interior & Furniture Design Student Apurva Thosar Placed At Top University With Package of 5 Lacs. Annually. Miss Apurva (Ifd, Batch- 2015-2017) Got Placed In Surya Dutta Group of Institutes, Pune (One Of The Top Ranked College) As Assistant Professor with INR 5,00,000 Annual Package. Product & Industrial Design Student Singhara Kanappan Got A Reputed Position At XR Labs, Chennai. Mr. Singhara Got Placed In XR LABS (Batch-2012-2016), Chennai as A Product Designer,With INR 5.5 Lakhs Annual Package. Miss Ineet got reputed position in one of the India’s leading furniture company “PEPPERFRY”. Interior & Furniture Design Miss. Ineet( 2013-1017) Got Placed In Pepperfry With INR 3,60,000 Annual Package. Students are encouraged to experiment with different materials to create conceptual wear and accessories. Interior Furniture Design and Product Industrial Design Students During Experiential Learning Week. Students are exposed to real work on site situations /live design projects in–house and external visits. Students are exposed to fashion shows, craft fairs, industry internships and craft documentation. Intensive exposure to practical work in Pattern making, Draping, Weaving, Printing, Dyeing, Garment Construction labs. Workshop on “Sanjhi Art” by Mr. Ram Soni (National Award Winner)- Story telling through the art of paper-cutting. Students are given various Live-projects during the course of the program to create commercially viable designs. Workshop on "Fashion styling" by Anuj Lalawani (Renowned Designer & Stylist) where students got training in different creative endeavors like body fit, make up, dressing and grooming. Students of SFD got an opportunity to attend a workshop conducted by Designer Anuj Sharma, exploring drapes in fabrics and creating unstitched garments using creative techniques. School of Design organized Face Painting and nail painting competition for students to showcase their creative talents. Aditya Raina, a Final year student of diploma in Fashion Design got an opportunity to work as a Fashion stylist (intern) for ace Fashion designer J J Vallaya for his upcoming collection. Yatin Pandya Footprints E.A.R.T.H. Gave Lecture To Interior Students On Design Principles. Department of interior and furniture design , school of design-ii conducted expert lecture of Ar. Yatin Pandya, FOOTPRINTS E.A.R.T.H. for interior students to share views on principles of design. Intensive exposure to practical work in Carpentry workshop, metal workshop, laser cutter machines for model making and clay and ceramics workshop. Educational Trips And Industrial Exposure. Students are taken to educational tours to complement in-class learning. Students visit various monumental buildings and industries across India such as marble industries, tile industries, Thermax industry, Ashok Leyland, Tata Motors etc. The students of B.Design Program visited and interacted with the craft cluster communities in Jodhpur. During their 4 days stay, they were taken through various printing and dyeing techniques inherent to the textile crafts of Jodhpur. LPU student Javid Parsa, Enterprenuer owns 10 outlets in Jammu and Kashmir. LPU Alumni Jaydeep Marvaniya Patel , studied M.Sc Interior & Furniture design (IFD) successfully established a company by the name “‘‘JeePee interior design’ established in 2015, endows customized comprehensive solutions for interior design and architectural services to its clients who seek approachable and unswerving facility planning and design services. Innovative curriculum provides for understanding the nuances of creating a craft object from start to finish. Retail outlet in UNI mall where students get an opportunity to showcase and sell their fashion products and accessories. Being a Knowledge partner with Delhi times fashion , LPU Final Year students got opportunity to participate in Delhi Fashion week 2019. Fashion show provides a platform for the holistic development of design students to showcase their talent on ramp. Miss India, Film & Television personalities and international models have associated with various events of the School of Design as Showstoppers, Guests of honor and Jury members. Ace fashion designer of International repute, Mr. Shravan Kumar collaborated with LPU students, for showcasing his designs at LPU. Ace fashion designer of International repute, Mr. James Pereira along with renowned fashion designers Anuj Sharma, Anshul Rajwansh, Abhi Singh and Bollywood stylist Farah Sanjana were guest of honor at Annual Graduating fashion show 2016. 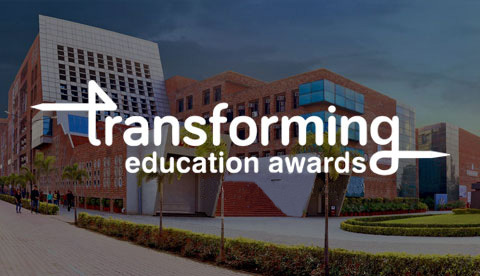 LPU Campus is Always Abuzz with Competitions, Project Shows, Conferences and lots more! Organized at Parade Ground, Chandigarh from 8th Feb to11th Feb 2019, Int-Ext Expo provided an opportunity to architects and companies to exhibit their projects that used latest technology in interior and exterior architecture. Gauri Agarwal, renowned sustainable fashion designer conducts five days workshop with students of UG/PG Programme at school of fashion design, LPU. Students develop fashion garments keeping sustainable aspects in mind. LPU School of Design organized Accessorize – an accessory designing competition on 1st of April 2017. It saw enthusiastic participation from students, who created beautiful adornments along themes like Urban Jungle, Art Deco, and Antiquity. 3rd Edition of Neo-International Conference on Habitable Environments & International Professional Meet 2018 witnessing large congregation of architects from across the world. Innovative Design Orientation Technique-an event organised over a period of 3 days in which various workshops and guest lectures were held by some of the renowned architects and designers to hone the skills of students and instil innovative design thinking. LPU School of design organised a ‘Street Art, Graffiti and Wall Art’ competition on 25th of February 2017. Students represented their artworks on themes like ‘Wanderlust’, ‘Gender diversity’ and ‘Real eyes realise real lies’. LPU School of Design organised ‘Expressionist’ – Face painting and Nail art competition on 20/08/2016. More than 60 students participated in the competition to showcase their talent. Face painting and Nail art on different themes and concepts. The School of Design organized a mega fashion show ‘Ensemble-2018’ during its annual graduating show. Nearly 30 models, who are also LPU students, showcased 10 collections of 200+ designs prepared by LPU Fashion Programme students. LPU organized the Ardour Fashion Week Model and Designer Hunt – a 3 day event that brought the glitterati of the Indian fashion scene to LPU. LPU’s School of Fashion held its Annual Graduating Fashion Show. Claudia Ceisla, the German Supermodel who not only graced the event as the Guest of Honour, but also walked the ramp insome of the students’ creations.